Fill out the form below to get a no-cost, auto insurance quote. California Casualty coverage available in: Alabama, Arizona, Arkansas, California, Colorado, Connecticut, Delaware, District of Columbia, Florida, Georgia, Idaho, Illinois, Indiana, Iowa, Kansas, Kentucky, Louisiana, Maine, Maryland, Minnesota, Missouri, Montana, Nebraska, Nevada, New Hampshire, New Jersey, New Mexico, North Carolina, North Dakota , Ohio, Oklahoma, Oregon, Pennsylvania, Rhode Island, South Carolina, South Dakota, Tennessee, Texas, Utah, Vermont, Virginia, Washington, West Virginia, Wyoming. Coverage not available in AK, HI, MA, MI, NY, PR & WI. *NC is agency services. Incentive not available in IA, NV, MN, ND, ME, MO, UT, PA, NM and NC. One First Aid Kit per household, per year. Offer not valid when a California Casualty policy is already in force. First Aid Kits - Please allow 6-8 weeks for delivery. Don't leave yourself vulnerable! 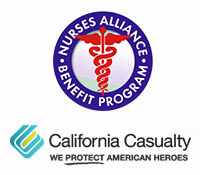 California Casualty offers flood insurance in all states through the National Flood Insurance Program. Floods are the #1 natural disaster in the United States. Don't leave yourself vulnerable! If you home flooded, would you know who to call, or how to clean up? Could you afford to repair your home and replace your belongings? Flooding is Americas most common natural disaster, yet many homeowners are unprotected. Even a small flood can cause major damage! Don't take the chance this year. Just because your area doesn't usually have floods or earthquakes is no guarantee that these disasters will not happen to your property. Homeowners insurance won't cover it. Only flood insurance covers the kind of damage caused by flooding. Floods are expensive. Two inches of water could cause over $7,000 in damage. As the water rises, so do your costs. Government assistance is rare. Only the President can declare a federal disaster and even then the aid offered is typically a loan to be repaid with interest. Protect your home and it's contents now. Most policies need thirty days to take effect. Don't wait; act now. 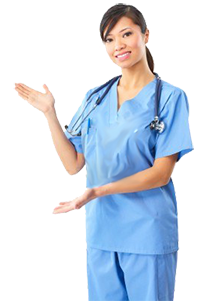 California Casualty offers competitive rates and excellent service to nursing professionals, education, public safety association members, credit unions, and select employer groups. You can pay for your coverage using one of our convenient billing plans. Call us at 866.998.6390 to talk about how we can serve you. Get an auto insurance quote using chat and receive a complimentary First Aid Kit. *First Aid Kits are for auto insurance quotes only, Offer not available in IA, NV, ME, MO, UT, PA, NM and NC. * In some instances, insurance is underwritten by insuring partners.